Welcome to the website of the professional child-minder and small scale childcare service “De Banjo (B)engeltjes”. What is “De Banjo (B)engeltjes” ? 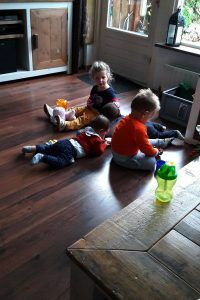 De Banjo (B)engeltjes is a small scale childcare service run by a formal and professional child-minder, Editha Verwater at her home in Banjohof, Barendrecht. What does the name Banjo (B)engeltjes mean? The first part of the name comes from the street where I am situated : Banjohof. The streets in this area are named after musical instruments or famous composers. 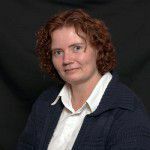 The second part of the name can be interpreted in ways: engeltjes – little angels, or as bengeltjes – little rascals, since we all know children can be either (or even both!) once in a while, or all the time, I thought it would be a fitting name for the childcare service. My name is Editha Verwater and I’m married to Michiel. Together we have two teenagers : a girl – Yesmay and a slightly older boy named Damian. I am what one would call a “Gastouder” (literal translation : host parent), a child-minder. I have been child minding since 2000. At the end of 2013 I decided to formalise, professionalize, and expand the child-minding to a small childcare service from my own home, which had started on 1st January, 2014.
be 18 years or over and have the proper education and certification for childcare. speak one of languages of the Netherlands: Dutch, Frisian or an officially recognized local / regional dialect. Mother tongue of the child or other language, is allowed if the child is temporarily in the Netherlands. (i.e. Expats). be affiliated with an official child-minding agency, not be an owner of a child-minding agency and have all payments from parents be processed via the official child minding agency one is affiliated with. have a Certificate of Conduct for Natural Persons (Verklaring omtrent Gedrag – VOG), as well as every other person in the household living at the same home, age 18 and over. 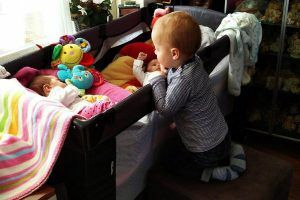 not have one or more of their own children under the protection of the Youth Care Agency (Bureau Jeugdzorg), comparable with the DCFS in the USA, or the NSPCC in the UK. In case of child-minding 4 or more children, the child-minder must have another child-minder as backup in case of emergency. meet all requirements for childcare safety, which is checked upon continuously. have separate sleeping areas for children under the age of 1 and a half years. All these requirements are checked and tested by the local Public Health Service (GGD). The affiliated official child minding agency will make a Risk Assessment concerning health and safety, based on a standardised checklist and protocols. This will also be tested on a regular and recurring basis. 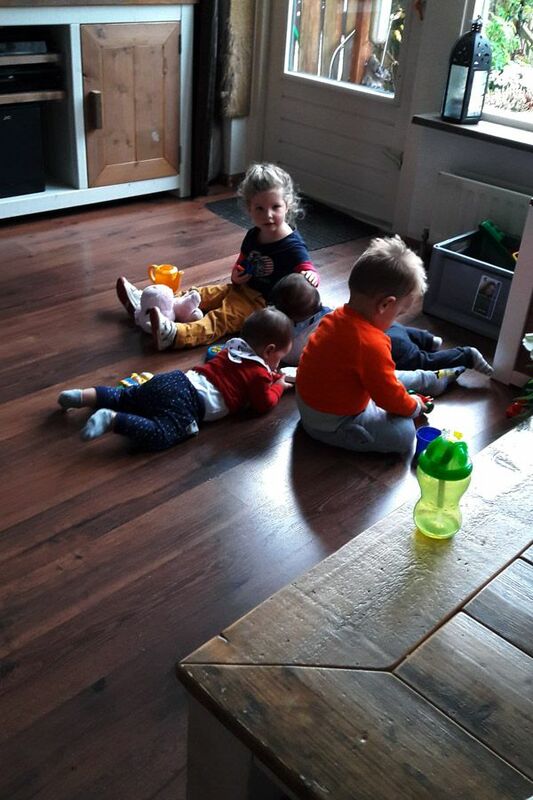 Due to my compliance with all legislation guidelines, you as parent will qualify for childcare benefits/allowance as regulated by the Dutch government and Tax Revenue Service (Belastingdienst). Are you looking for a childcare facility ? As a working parent you are probably looking for suitable childcare facilities. Maybe regular daycare is not appropriate or flexible enough for your liking, or you do not want to inflict the child’s grandparents or other family members. De Banjo (B)engeltjes might be the childcare you are looking for! What does de Banjo (B)engeltjes offer you ? Small scale childcare at de Banjo (B)engeltjes is flexible. On one or more working days, at fixed or varying times between 06:45 AM and 6 PM, it does not matter. We can work something out and we will make clear agreements. As a formal child minder, I have more opportunities to accommodate your child then regular childcare like daycare can. I am flexible enough to take into account your work schedule, needs and expectations you may have as a parent, while daycare and nurseries cannot. The care for your child takes place in a homelike atmosphere and cozy setting, with a maximum of 4 or 5 children per day. This allows your child the rest, regularity and attention it deserves. enough toys and play materials, inside and outside, either in the garden or a playground. rest, regularity and attention a child deserves. communication with the child in Dutch, and in case of expat children, in the mother-tongue (as far as language knowledge reaches). By preference in Dutch or English, but some German is possible too, with slight help from the parents. Because the children get all the time and attention they deserve during opening hours, it is not always possible for me to respond directly to your email or phone call. For questions and other inquiries please use the contact form below. I will try to respond by phone or email as soon as possible. How did you find Banjo(B)engeltjes ?